Things change in your 40&apos;s. While I work out diligently, I have to be mindful of what I&apos;m eating to stay the same size and weight. Back in my 30&apos;s (ah, the good old days). I could pretty much eat whatever I wanted and know my runs would take care of the calories. Now I have to have a plan. 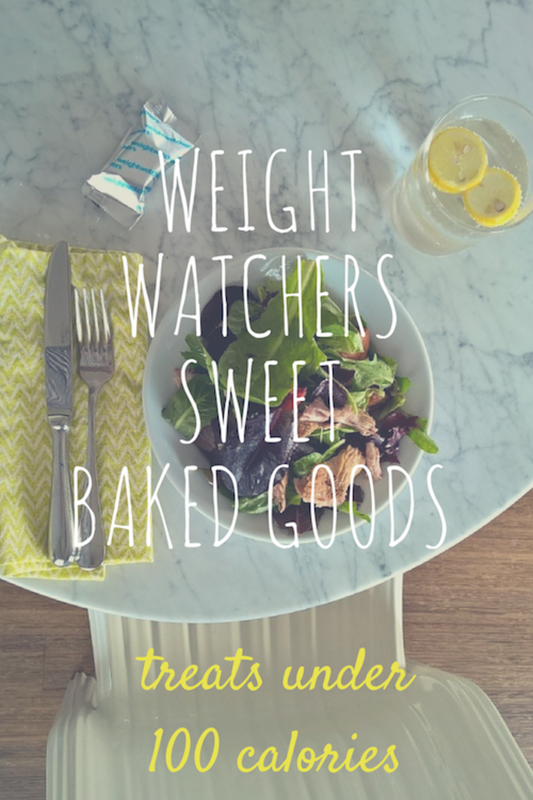 My plan involves treats from Weight Watchers Sweet Baked Goods like the new Salted Caramel Brownie Bliss . Did I mention I&apos;m a planner? I thing good results come from planning and mindful choices. Our meal plan involves eating at home with the kids 5 nights a week. 1.) Designate one meal a week as meat-free. Try a new vegetable or whole grain each week to keep things interesting. 2.) Double up on your lean proteins you prepare on the weekend. For me, this means grilling some extra chicken or lean pork to serve in salads and in pastas during the week. 3.) Skip sweet beverages at dinner. The kids get milk or water and the grown-ups get flavored water. 4.) Buy prepped vegetables. I get pre-washed salads and pre-cut veggies to have on hand during the week. If there&apos;s too much prep involved I get lazy. 5.) Opt for single-serving desserts. Here&apos;s a typical weeknight meal. I roasted an extra chicken over the weekend. During the week I carve up the chicken and serve it with rice and vegetable for dinner. 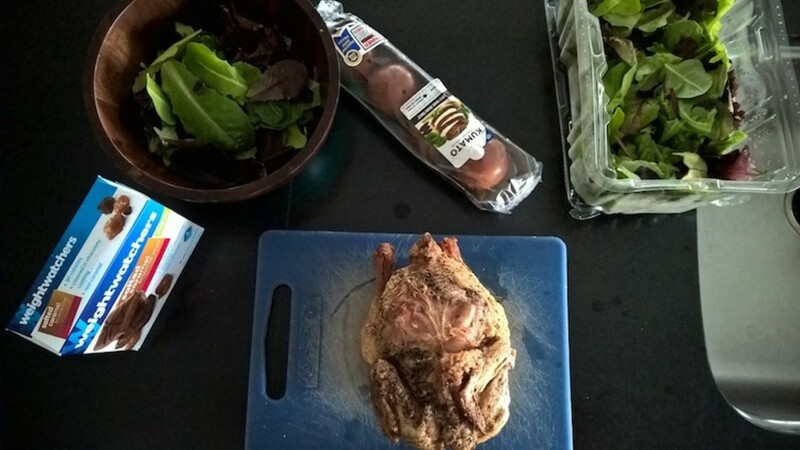 For lunch, I&apos;ll use slice up more of the chicken and place it over the pre-washed lettuce with tomatoes and make a quick oil and vinegar dressing. Since I work from home, this is often faster and easier than going out for a salad. And most likely a lot healthier. Don&apos;t eat in front a screen. Instagram can wait until you finish your meal. 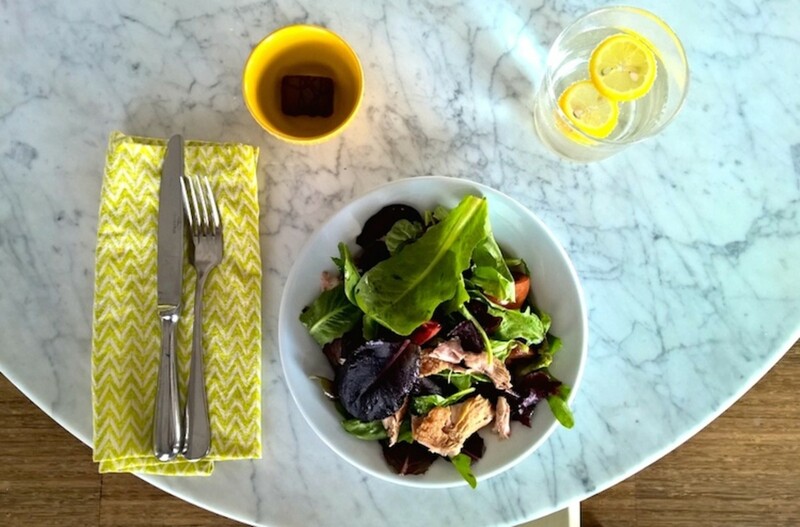 Give yourself a pretty place setting. Even when I&apos;m eating alone I use nice linens. Boost flavor not calories. I flavor my sparkling water with fresh lemon juice. Portions count. I can have as much of the green stuff as I want. I portion out the meat and the dessert--where the calories can quickly add up. As you can see when you shop smart and fill your kitchen with the right food, you can have lovely meals and still stay slim. For me, the focus is on preparing fresh meals for the family. After all this effort, I don&apos;t have the time or energy to make dessert. Here&apos;s the thing: Denying myself doesn&apos;t work. I have a taste for things that are both sweet and salty. I like little indulgences. 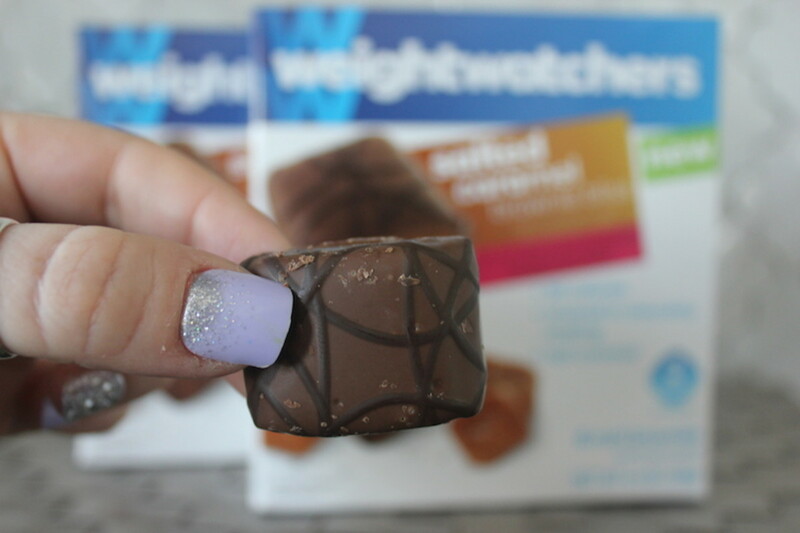 Weight Watchers Salted Caramel Brownie Bliss are the perfect treat as an afternoon boost, for dessert after a lovingly prepared meal or as a treat after the kids are in bed. At just 90 calories, you won&apos;t believe the amount of taste and satisfaction that you get. This is a sponsored post. All opinions are mine, nothing is scripted and all taste testing and food prep was done in my Brooklyn kitchen.